Feedback can create collaboration, a culture of connection and sustainable change in Your Practice. 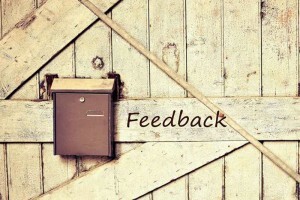 Providing feedback is an essential element to progress and improve your practice. It is important that your employees or contractors are aware of what they did well and how they can improve on, if you want to produce work that is more refined, efficient and cost effective. Did you know that approximately a third of practice owners admitted to being uncomfortable about giving direct feedback to an employee if they believed the person would respond in a negative way? It is thought that one in five practice owners admit that they have had difficulty giving praise for a job well done and another 16% were likely to credit themselves, rather than others, for innovative ideas that came to fruition in the workplace. Instead of relaying feedback via email or avoiding discussions regarding past and future work performance, aim to communicate feedback to your employees or contractors because most people will value constructive criticism – even if it stings a little at the time!! A great example demonstrating the benefit of providing feedback is from a recent survey which found that of more than 1000 full time employees surveyed, 81% would rather join a company that values ‘open communication’ than one that offers free perks such as gym memberships, free food or top health plans. To be more effective at communicating the tough stuff or showing some appreciation in your practice, the following tips may be helpful. There is always a nicer way of framing something negative. Instead of focusing the whole discussion on the consequences of an employee’s or contractor’s mistakes, try to include specific examples of desired behaviour to illustrate the issues. You may learn something! Or gain a different perspective of an issue from the employee or contractor. Listening conveys respect and gives space for practice owners/managers and employees or contractors to understand the situation together. It is easy to take things personally in a direct feedback conversation so make feedback sessions with employees or contractors as constructive as possible. Try to focus on how behaviour or decisions made by the employee or contractor involved affected the practice, rather than you personally. Follow up on the employee or contractor after a feedback conversation to ensure they feel motivated to take on any suggestions and to ensure that any feelings of hurt or resentment are addressed in a timely manner. Make sure employees or contractors understand that you have aspirations for who they can become and that you believe they are capable of accepting feedback and bettering themselves in the process.